Working on updating your resume? 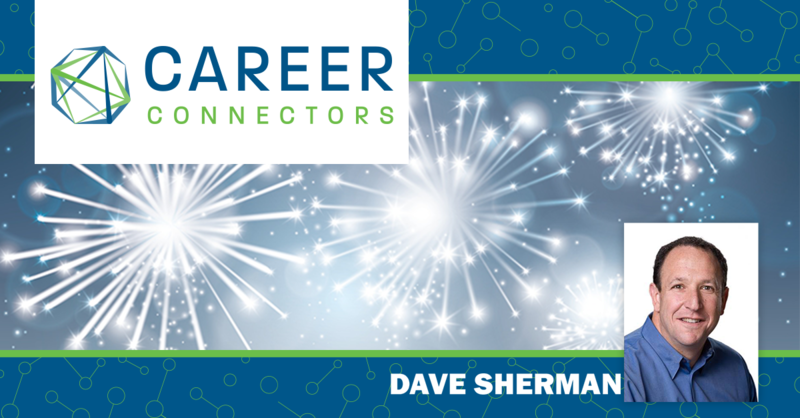 Here to help you distinguish fact from fiction are four resume experts who have a total combined experience of working with hundreds of hiring managers and recruiters! Myth: Include all jobs to show experience. Save space, employers don’t need to see everything – only what is important to the job they are trying to fill. Unfortunately, there is just too much for them to read. Specialization is everywhere, so your job search must niche down as much as possible to the specific job opening. Lori Norris, Get Results Career Services, says the biggest resume mistake is a failure to focus. Three or four pages might be too much (unless you are upper level executive management). They don’t want to see everything, only what is important to them. If you try to appeal to everyone then you will reach no one. Have multiple versions ready that target and focus incorporate keywords from job descriptions. It takes work to remove non-essential work experience, but a shorter, more focused document will improve scoring by an Applicant Tracking System (ATS) and will be easier to read by us humans. Brenda Cunningham, owner of Push Career Management, says to keep it to one page, but it depends on your experience. If you were in the same position for a long time it will look good if it was kept to one page. Most resumes for mid-career professional are 2 pages, but if the job application asks for one page – then you must follow directions! Grain of truth: Show all your experience that relates directly to the job you are applying for. Myth: Listing all duties and activity makes you look well rounded. While you should include relevant accomplishments, your resume isn’t a list of ‘chores’. What employers want to know about your experience is did you perform well and will you be valuable to them. Martha Rockwell, owner of A+ Resumes & Career Coaching says, not to fall back on merely describing activities but include results of your effort. Donna Tucker, founding member of Resume Writers Council of Arizona: Don’t include your whole story but leave some details for the cover letter or interview. In your resume quickly tell what problem you solved and make it easy to read. Brenda: Your resume should answer the ‘So what?’ question. Don’t just write that you ‘answered phones’, but say you ‘made 400 calls a day while documenting detailed notes’. Show what made your work special. Martha: If you give too much information, they may not call for interview since they believe they have enough information from you. Hold back on some details but give enough to tempt them to ask for more. Highlight your value by showing quantifiable results, ‘sales increased’ or ‘reduced rework’. Describe how you made money for the company! Donna: Including too much can also leave you open to assignments you don’t want and may indicate that you’re desperate or don’t know your strengths. Brenda: Keep it relevant, don’t make the reader work to figure out what is important. Also, don’t be creative in describing your job title, call it what it is and use what they call it. Be clear on job titles for instance, there’s a difference between project manager and project coordinator. Show what you’ve done matches what the job requires. Grain of truth: You may include your responsibilities but it’s more important to show the value you’ve provided to the business. So how can your brilliance be captured on a shorter resume? Go deep, not wide. On to the next myth. A well written cover letter shows your personality, communication style and enhances your chance for an interview. After passing initial screening, resumes and cover letters will go to hiring managers but because they’re not going to interview 20 people for a job, they’ll read cover letters to make final selections. This is the sales pitch that shows what you have to offer and why you are the best person for job. Include a call to action that specifies what happens next. For instance, ‘I will call you for possible of interview’. But if you include this, be sure to do it! Martha: While the resume is an objective document, a cover letter is more subjective but still tailored to a specific job posting. Place the most important requirements near the beginning of cover letter to show clearly you can do the job. Donna: If an ATS asks for a cover letter separately, then don’t attach to resume. Its content must be specific to the job. Don’t repeat information that is on resume. Lori: If uploading to an ATS and there is no separate upload for a cover letter, you might be able to upload the resume first then followed by cover letter attached. Keep them separate if possible. Getting past the ATS gatekeeper is difficult enough and fancy fonts can make it even harder for automated software to read your resume. Microsoft Word is best, while PDFs can be tricky for ATS to read. Leave the fancy resume for the interview. Lori: The way it looks is not as important as content. You don’t need fancy if you’ve got great content. Donna: To get your resume read more accurately by an ATS use san serif fonts ‘no feet’ such as Calibri or Arial. Also avoid text boxes, tables, no images, don’t even include your photo! Grain of truth: Print an alternate ‘fancier’ resume to present at interview. Not so much anymore. Applicant Tracking Systems have gotten much better at scoring, approving and rejecting applicants depending on how well content matches a job posting. With hundreds of different ATS software screening your applications, you’ll want as much feedback as possible from professional resume writers. The best resume coaches go through professional training, evaluations, certifications and keep up with hiring trends at local and national Human Resource conferences. Based on their relationships with recruiters and hiring managers who are currently trying to fill positions, they keep current on the resume screening process and the foundations of a good resume. Brenda: We all have different opinions however, if you get advice from too many voices, it may be hard to know who to listen to. It can be counterproductive to apply what every resume writing coach suggests so our advice would be to pick one professional’s help and go with that. Donna: Time is money and a resume is a tool that gets an interview. It costs a few dollars but gets you started quickly. Lori: There’s no one right way. There are many format variations, however whatever style it is, it must get you interviews. Grain of truth: You can create your own resume but get professional help, it is worth every dollar. Lori: It’s probably best to have multiple versions of your resume. Target and focus by using keywords found on the job description and place them higher on your documents. Show how your results were measured and how you made impact. Remember it’s not about you – it’s about how you will add value to a potential employer. Donna: ATS vary in sophistication but they generally scan for keywords, parse and score documents for the hiring managers. No one has time to go through all the resumes. They are also stored so they might still review them for another opening. Be careful with formatting, using fancy fonts, headers, that can cause rejection. Keep it simple! Chronological is most widely accepted format. Functional resumes may sometimes throw off the ATS if it is looking for sequence. It may be flagged as something missing and can appear as if you are trying to hide something. ATS tracks everything you do, even the number of times you’ve applied to each job, so apply only to relevant positions! How far back should you go? What about jobs held back in 1998? Go back no more than 15 years, but you can use a section at the bottom of your resume to add other career highlights and measurable accomplishments. You may just note that you have 7+ years’ experience without dates. Brenda: Don’t give hints that may tip them off about your age. Don’t give them reason to think you are expensive or have outdated skills. Age discrimination is real so don’t give them clues that you are older. Lori: Imagine what a 24 year old hiring manager might be thinking: you could show them up, be after his job or be judgmental. Realize that they may feel intimidated by your experience. Veterans – don’t say you are retired (and reveal you are getting pension). Unconsciously they may think you could just coast through the job and really don’t need the work. Instead, say that you enjoyed a successful career in the military. • Your email address may give you away. AOL can look outdated, but Gmail is better. Don’t use year of birth in your email address, it can be obvious if a number in your email address looks like a birth year! • Remove date of college graduation. • While it may help you feel good to list work done 20 years ago, keep the reader in mind and see if your experience appears relevant. Too long of a break in your career may give the impression your experience and skills might not be current. If you can, show you were productive and learning, where you have been getting an education or trying a new profession. 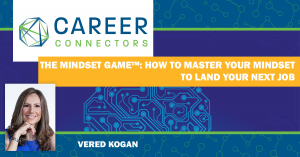 Get guidance at Career Connectors, go to specific industry organizations, take classes, volunteer, be intentional on building your skills so you increase your qualifications. If you took time off to care for family, then just say so. Resumes that follow expert guidelines will make it easy for employers to know who you are and what you can do for them while getting a job that is the best fit for you. Comfortable with your money? Many people aren’t and Wells Fargo needs you to help make their customers feel financially confident. Elaine Favasole. Some of Wells Fargo’s current openings: Account Resolution Specialist, Administrative Assistant, Lead Teller, Process Developer, Systems Support Analyst, Financial Crimes Spec, Info Security Engineer. If you have a heart to help those in need and care about people, this a great place to land. This is the Human Services arm for the State of Arizona. They’re known for great benefits and they’re hiring veterans! No ATS used here! But when you apply, please make it easy to read your resume because we have real people reading them! Government shutdown or not, we’re still funded! Bill Pond of the Census Bureau says there is a great need of help to get an accurate count of who lives here in Arizona. Arizona is one of the faster growing states and an accurate count of our population will get more representation at the federal level which could mean more money for Arizona! There are 10,000 jobs at GCU so there could be something for you! Although this is the largest Christian accredited university there is high emphasis put on individual relationships. While we value experience over degrees, certifications and education can get the ATS to score you over the 90% mark. Be a lifelong learner and apply for an MBA! Healthcare jobs are hot in Arizona. As one of the fastest growing industries, all kinds of opportunities are generated to use your skills (and develop new ones) in a variety of healthcare roles. 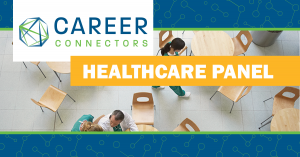 Jessica Pierce, Career Connectors Founder and CEO, facilitated two informative panel discussions with healthcare industry career experts, providing insight into what it takes to become a healthcare professional and land one of those hot jobs. While the healthcare industry is always in need of people for clinical roles, we learned that healthcare organizations – hospitals, clinics, care centers, assisted living, hospice – are actively seeking to fill administrative roles in IT, finance, marketing, food service and facilities management. Q – If someone is interested in your organization, what advice do you have? Including applicants without healthcare experience. Research the company! 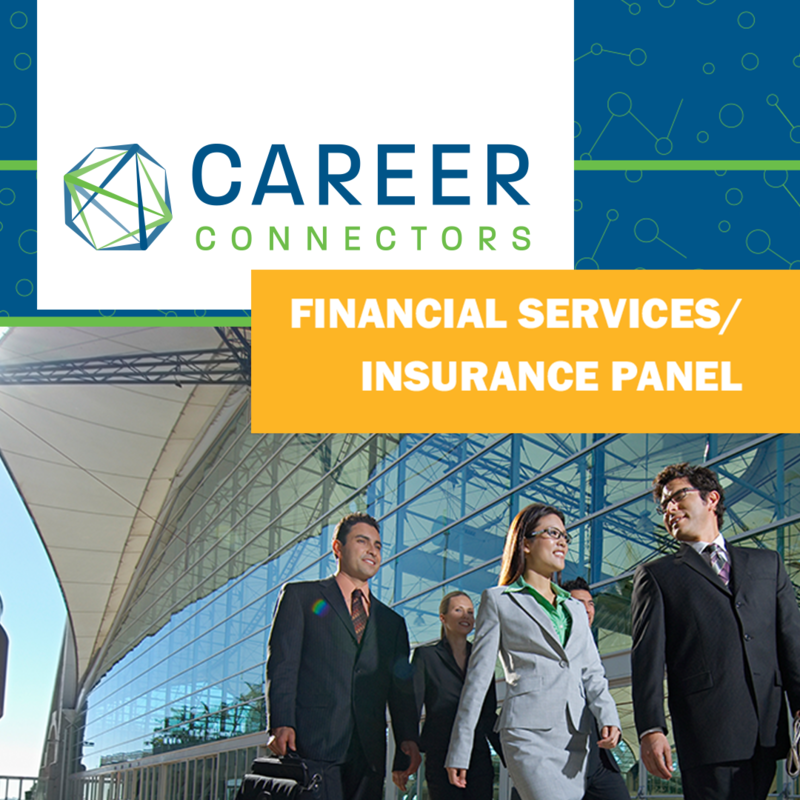 Go to the website and then reach out to the panel members and recruiters. Use LinkedIn to understand healthcare worker skills. Ask questions, healthcare companies want you to know everything about them. Your skills are transferable, tie in your resume accomplishments to the job. Make yourself stand out. You’re a rock star. Show us! Q – Healthcare is in the top five industries in Arizona, why is there so much job growth? The need for non-clinical roles is enormous. In every healthcare facility there are administrative support roles in finance, accounting, IT, food service, guest services, among others. There’s tremendous competition for candidates and employee retention is a top priority. Q – Is there an entry point for a career path in healthcare? We are looking for passionate people from all different backgrounds. If you want to learn, there are definitely opportunities and avenues for skill development in many areas, such as marketing, facilities and patient care. Show interest! We’ll fight for you and help get you where you want to be internally. It’s common for employees to transition into other roles once trained, established and successful within the organization. Q – Is volunteering a pathway into a healthcare organization? Yes, and it looks great on your resume. Volunteers have the unique advantage of getting to know the organization (and hiring managers). It’s a great idea to volunteer while attending school, finishing a degree or if you just want to get your foot in the door. Q – Are there any assumptions that can be shattered about healthcare roles? For example, the assumption that healthcare workers are overworked and underpaid. Healthcare workers have a spirit to serve. It’s incredibly fulfilling. In addition, it’s rewarding to guide others on the healthcare path. In today’s world, organizations are taking steps to ensure a healthy work-life balance for their employees. It’s hard to justify claims of underpay for clinical roles. There are so many pieces of data to consider. Q – What is your job application process? Brittany – Apply online. There will two assessments (for clinical roles) and a two-week typical turnaround from phone screen to onsite interview. We move ASAP on non-clinical roles. Own the follow-up piece and call if we don’t meet a target date. Melissa – Apply online. Fill out the profile. I conduct the phone screen. The hiring manager, HR and the CEO interview all candidates. Typically, a two-week process. Travis – Apply online. All candidates are reviewed. I believe in all-in / buy-in, so we get input from different areas for every job candidate. Q – (from an IT job seeker) How do I get noticed? When I apply, I never get a response. IT can be specialized and (sometimes) located in corporate offices out of state. It helps to have certifications in addition to the IT experience. Try to get out, meet and network with the right IT healthcare people. Seek professional help with tailoring your resume with relevant skills and accomplishments. Q – What are some ways to get started in healthcare? Have a purpose. The patient experience is very important us. Show us your “why” when it comes to you and a healthcare career. Healthcare job titles can be misleading, but skills are transferable. Many roles are in patient satisfaction, which isn’t as recognizable as nursing. Bring your passion for patient care to an administrative role and find your fit from there. Q – With all this growth in healthcare, what are the needed skill sets? There is a perception we only hire doctors and nurses. There are many, many ancillary roles. The hospital is a mini city. Everything from IT to marketing to food service to building maintenance and security keeps the city running smoothly in support of the bedside. Q – What education programs are needed? Data analytics, an up-and-coming need in healthcare, will be in demand. Quality & Safety, Public Health Administration, IT Infrastructure, Coding and Informatics. Q – With population growth in Arizona, what is the future of healthcare here? We are trying very hard to be proactive. Employee retention programs, such as tuition reimbursement, scholarship programs and engagement surveys are in full swing. There will continue to be significant career opportunities as the population ages. All six organizations have NUMEROUS job openings for clinical and non-clinical roles. Check out those hot jobs online. Our Mission – Through the goodwill of others, we create the pathway to a better future for all by helping those who desire self-sufficiency. Sheila Coulam closed the meeting with a review of upcoming events. Next up, the 4th Annual Diversity & Inclusion Career Event on November 8th at the NAU North Valley Campus. 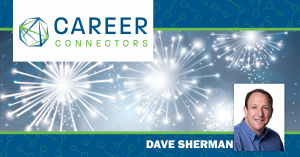 Thank you to the Career Connectors volunteers and the host facility, Calvary Community Church in Glendale.